Hey there! Thanks for stopping by. We are now open at our new location at 182 South Chillicothe Road (State Route 43) and look forward to serving you in our new store! Follow us on Facebook and Twitter for real-time updates. Also, get updates sent directly to your inbox by signing up for our Private Email List. Feel free to email at [email protected] or call with any questions. We'll do our best to help you while we settle into our new location. 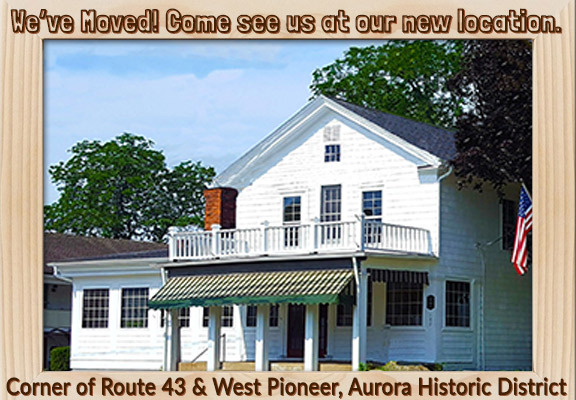 Our new store is a great old building in the historic district of Aurora. Our local customers will know the building as the Chet Edwards building. We've enjoyed our past 32 years at Aurora Farms Premium Outlets, but we've been Blessed with an opportunity we couldn't pass up. At the corner of Route 43 and West Pioneer, our new location will have a great community vibe! We'll be neighbors with some other wonderful locally owned Aurora businesses including Abigail's, The 1815 Tavern, The Secret Garden Antiques and Mad Jack's Pub. We couldn't be happier or more excited! Thanks, as always, for your continued support! We look forward to seeing you in our new location. Jane, Ken, Karen and all of your friends at Wayside Workshop!